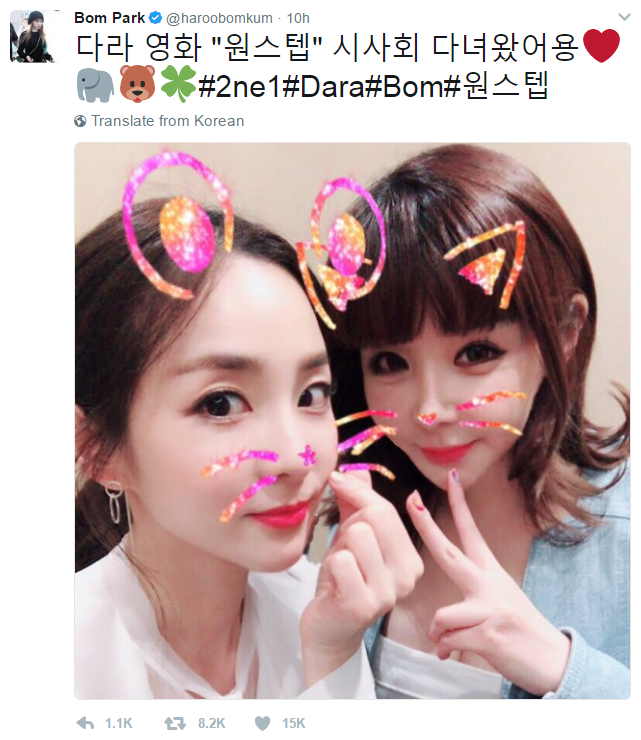 Just like CL, Bom also attended the premiere of Dara’s movie “One Step”. 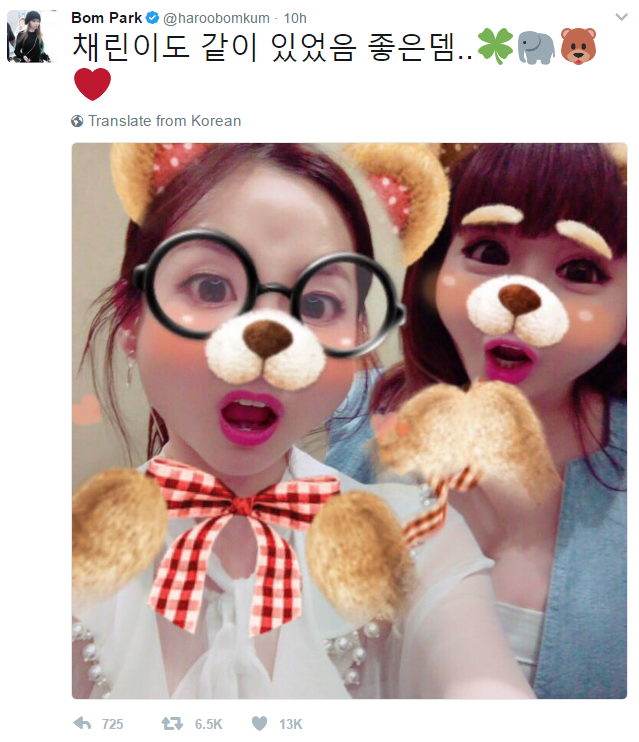 Although she didn’t walk the red carpet, she still watched the movie and supported Dara. 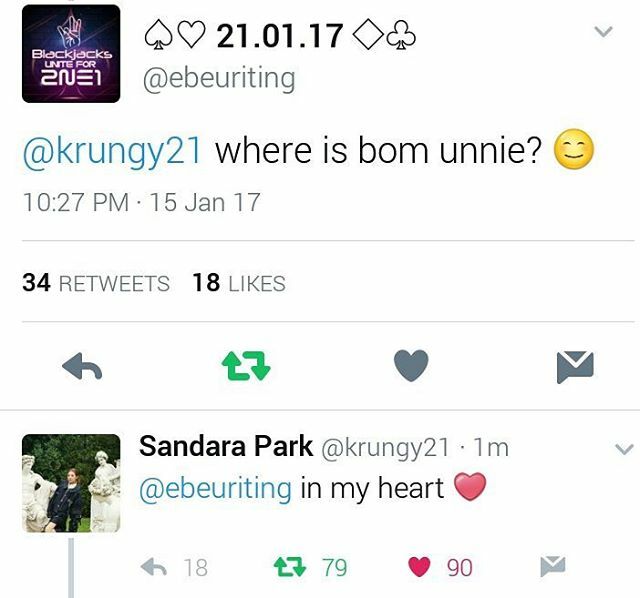 Park Sisters Fighting! 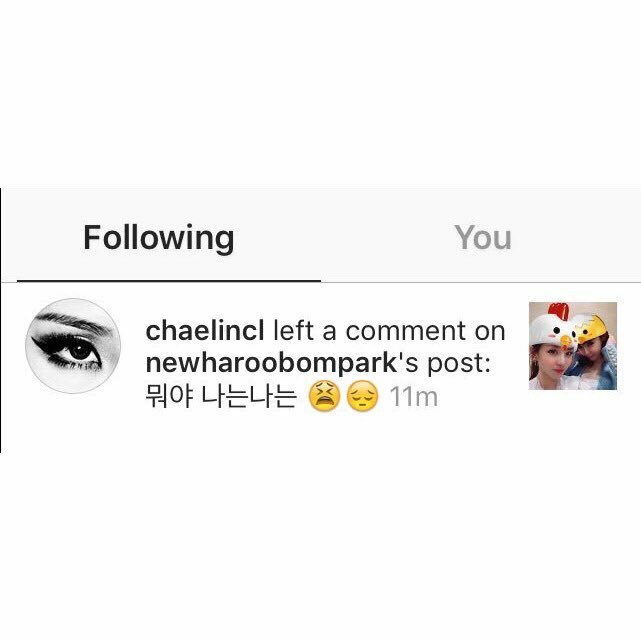 Bom: It would’ve been nice if Chaerin was with us.. Furthermore, in Dara’s interview with the press for “One Step”, she mentioned that she still keeps in contact with Minzy . Dara said that Minzy was not able to attend the VIP Premiere because of her busy schedule but that Minzy cheered her on a lot. Lastly, she said that despite the group’s disbandment, the relationship between the 4 of them still remains the same. 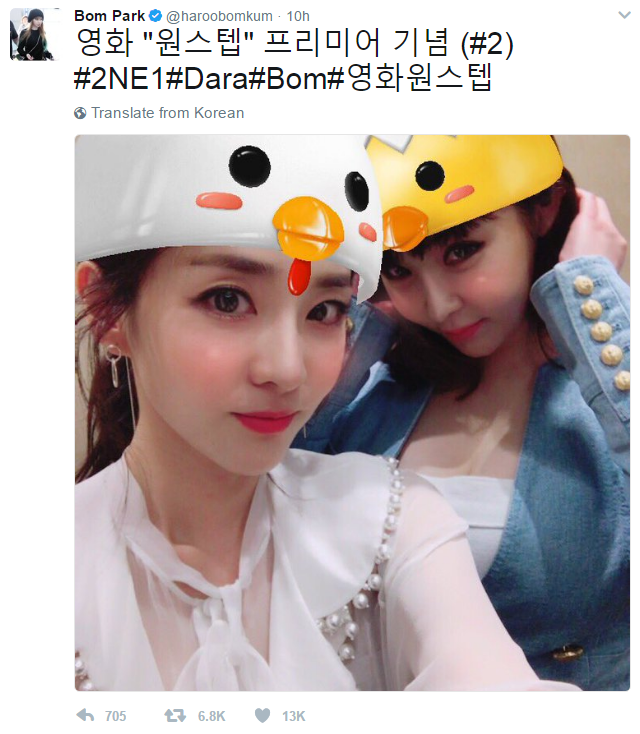 Our very first official picture of CL, Bom and Dara. My girls.